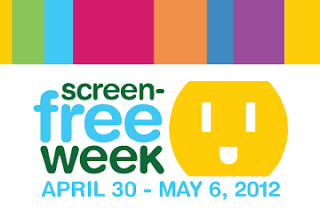 Screen Free Week | TonerGreen - Eco-Friendly Toners from the U.S.
Screen Free Week (formerly known as TV-turn off Week) is an annual celebration presented by CCFC (Campaign for a Commercial Free Childhood), where children, families, and communities turn off screens and "turn on life." It began in 1994 by organizations that felt that Americans were spending too much in front of their TVs. Instead of watching TVs and relying on screens for entertainment, the CCFC encourages participants to read, daydream, explore, enjoy nature and spend time with the family. According to research, children spend around 7.5 hours of screen-time daily. What's even more alarming is that pre-schoolers are spending around 32 hours of television a week. This was what motivated CCFC to take action. Screen Free Week does not mean you can't work using your laptops or children cannot do homework that requires a screen. What this week is about is for everyone of us to take a step back from all the recreational and leisure screen use for a week. Aside from this by participating in this campaign, you can help conserve electricity, and lessen your carbon footprint. 1.) Go outside and play sport with your family. 2.) Have a barbecue picnic with friends and neighbors. 3.) Read a book to your children and act it out. 4.) Take a walk to the local park. 5.) Ride a bike around your street. 6.) Camp out in your backyard and roast some marshmallows. 7.) Go on a nature trip. 8.) Grab a camera and go for a photo scavenger hunt. Here are just 8 things you can do during Screen Free Week that you and your family will surely enjoy. Screen Free Week is a great way to spend more time with your family and have bonding time with them using a different way aside from watching TV together. Want to make the best out of it ? Take a lot of pictures and make the memories last by printing them on printers with remanufactured toner cartridges that cost you less and are eco-friendly. Screen Free Week is a way of discovering more things to do with your family and creating new memories. So rather than thinking Screen Free Week will be a bore, go out and enjoy it!